You’ll ask yourself if you need a watermaker or if air conditioning is important or even if you want a full-sized refrigerator onboard the boat you are going to charter. 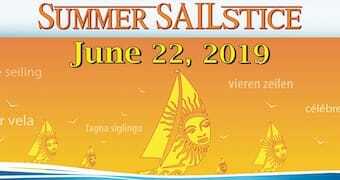 The truth is when you decide to take a sailing vacation aboard a sailing vessel that you will call home for a week or two you’ll be surprised by just how much you think you need. Who Are You Taking on Your Sailing Charter Vacation? 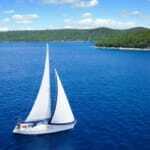 If you decide to take a quaint sailing vacation with just you and your significant other you might find that a small monohull is more than adequate for your sailing vacation. If your crew consists of children, mother-in-laws and sailing newbies you may want to consider a large catamaran that boasts space enough for everyone’s needs and personalities. When you are taking more than your immediate family ask questions about the number of berths and the number of heads. Also, is your group the type that will need more or less privacy? Will kids share a berth or sleep the saloon? Spending a week on the boat? The need for space and privacy will be magnified if the group does not normally live in the same household. The bigger the boat the more hands you will need to be active crew. Even though charter boats have all the required bells and whistles that make sailing easier, if a boat is much larger there will be a need for more experienced and willing crew members. 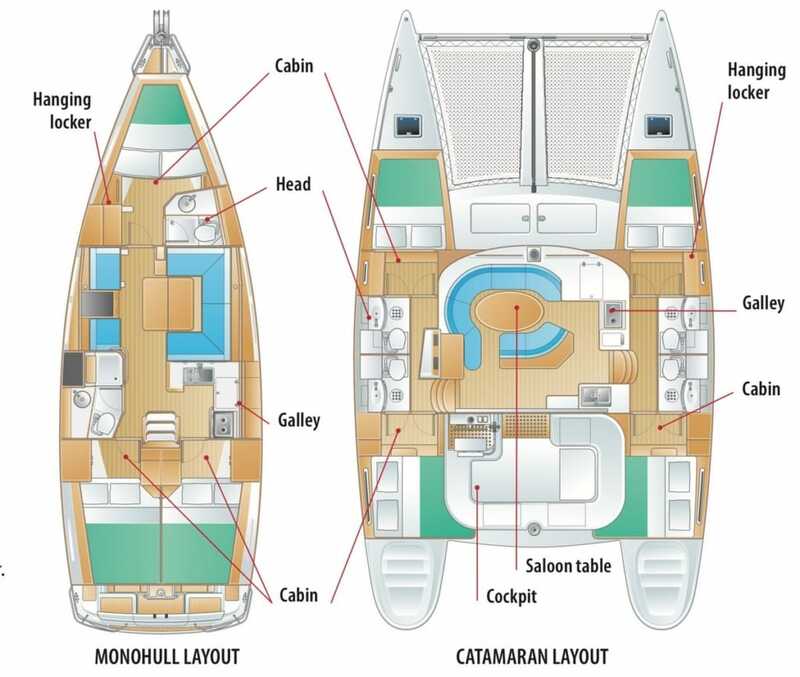 You can expect most boats over 36 feet to have twin steering stations that allow for easy passage from the cockpit to a swim platform carved into the transom. Most handling will be done from the cockpit. 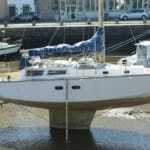 If this is your first charter consider a smaller boat and fewer people so that you have less crew with which to deal. There are a few things to remember when dealing with the size of a boat. A larger and therefore heavier boat requires more skill to maneuver and takes practice. The crew will be required to work with larger anchors and dock lines and that requires more muscle power. The choice is between a monohull and a catamaran. Simply put it is between the roomier accommodations and increased privacy of a catamaran and the generally smaller layout of a monohull. Two boats of the same length will vary significantly on the beam and will sail vastly differently. Does your crew enjoy the feeling of heeling and cutting through the swells or is the condominium on the water what your group is going for? With two boats of the same 43-foot length a catamaran will provide more generous living space – with four cabins, each with its own head – than a monohull. However, it is also a bigger boat to maneuver under power and sail. 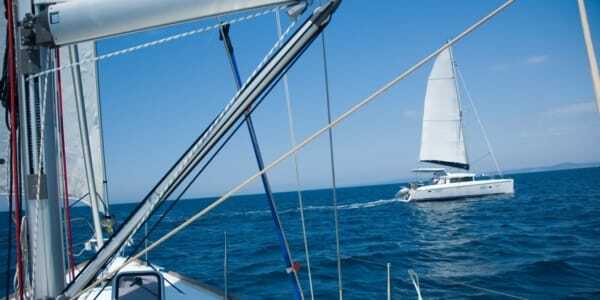 Cost is a factor in how you choose your boat for a sailing vacation. 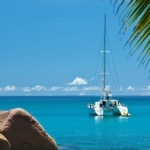 Catamarans on average will be more expensive relative to your sailing location. Size, quality, features, and amenities all play a role, as do location and season. Establish upfront how your group will share the charter and incidental expenses. Remember: If a deal is too good to be true…it probably is. Don’t risk your vacation on a cheap charter.